Garage door opener parts for all the major brand garage door openers including Chamberlain, Lift Master, Sears, Craftsman, Stanley, Multi-Code, Genie, Linear, Moore-O-Matic, Allister, Allstar, Pulsar, Tec-Key, Martec, Heddolf, Multi-Code and Wayne Dalton. Our inventory covers replacement repair parts such as garage door opener remote control transmitters, keyless entry systems, wall controls, receivers, safe-t-beams, door opener and gate operator repair parts and accessories. If you do not see the garage door opener parts your are looking for, please Contact Us and we will try to help you with your problem. 1stdooropeners.com - Owned by 1st Garage Door Openers, Inc. A family owned and operated business serving the Garage Door and Garage Door Opener Industry since 1981. Providing excellent customer service and assistance for over 25 years. We are a discount reseller of garage door opener remotes, repair parts, keyless entry and gate operator controls for your home, business, or gated community. We carry parts for the following garage door openers Lift-Master, Chamberlain, Sears Craftsman, Access Master, Sears Best Craftsman, Sears Automatic Door Opener, Master Mechanic, Security +, Formula 1, Garage Master, Billion Code, LiftMaster Professional, Estate Series, Premium Series, Contractor Series, Power Driver, Whisper Drive, Genie, Alliance, Norelco, Blue-Max, Lift-A-Door, Pro Max, Hercules, Stealth, Excelerator, Intellicode, Genie Pro, OverDrive, Python 2, Signature, Phantom, Legacy, Medallion, CodeDodger, Overhead Door, Genie Shop Vac, Stanley, Vemco, Quiet Glide, SecureCode, Lightmaker, Innovative Products, Whistler, U-Install, Popular Mechanics, Allister, Allstar, Pulsar, MVP, Challenger, GTO, All-O-Matic, Electrolift, Westinghouse, AM/11, Linear, Access Pro, Moore-O-Matic, MegaCode, Delta 3, MultiCode, Heddolf, ESP Micom, Intercontinental Dynamics, Crusader, Wayne Dalton, iDrive, Door Master, Quantum, Classic Drive, Tec Key, Martec, Monarch, Telectron and other garage door openers, and gate operators. 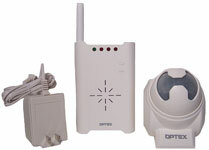 Our Products: We stock a complete line of repair parts and accessories for Garage Door Opener Systems. If we don’t have it or can’t get it…nobody can. Cancellation Policy: All cancelled orders will be assessed a 15% cancellation fee. Our company will only ship orders that have a "precise address match" thru our system with usps.com. If your address has any issue we will contact you. If you fail to respond our company will cancel the order and the customer will be assessed the 15% cancellation fee. If the customer cannot supply an address that is confirmed by USPS.com the order will be cancelled, and the customer will be assessed the 15% cancellation fee. All orders are automatically uploaded to our secure merchant processor and sent for shipment as soon as they are placed. All orders that have been shipped must have a Return Authorization Number and will be treated as a return. Hours of Operation Phone orders are taken Monday thru Friday 8:00am to 5:00pm MST. Online ordering is open 24 hours a day, 7 days a week.